Data collection and its use surrounds us. Our mobile phones trace where we live, work, buy our groceries, and visit friends. Today’s trip to some online shopping sites shows me ads for puppies (my children want a dog and they did a pet search earlier in the day), a New York Mets jersey (I guess I know what I am getting for my birthday), and suntan lotion (our family trip to Bermuda starts on Friday). Business-to-consumer industries know how to collect data and turn it into information that prompts us to do things, including buying products and securing services. In some cases, these prompts are helpful (e.g., using Waze to display the best driving route and point out the nearest Dunkin’ Donuts). In other instances, they are not (e.g., getting ads for plastic surgeon–administered Botox treatments while researching self-pay clinical specialties for a scientific paper). With the advent of electronic medical records (EMR), advanced imaging, wearables, and genetic sequencing, some estimates show an annual increase of 48% in medical data collection. This translates into a growth rate from 153 exabytes produced in 2013 to 2,134 exabytes produced in 2020. An exabyte is 1 billion gigabytes. To obtain a sense of how much data that represents, let us assume a typical laptop stores 500 gigabytes of data. In 2020, the medical data expected to be produced will fit on the hard drives of 4.3 billion laptops. Although the explosion of medical data is real, there is little evidence that all this data meaningfully impacts patient care and costs. Organizations are just beginning to understand how to process the data they collect and deliver it in formats that change clinician behavior and impact care. While our understanding of medicine may be vast, there is much more we do not know. 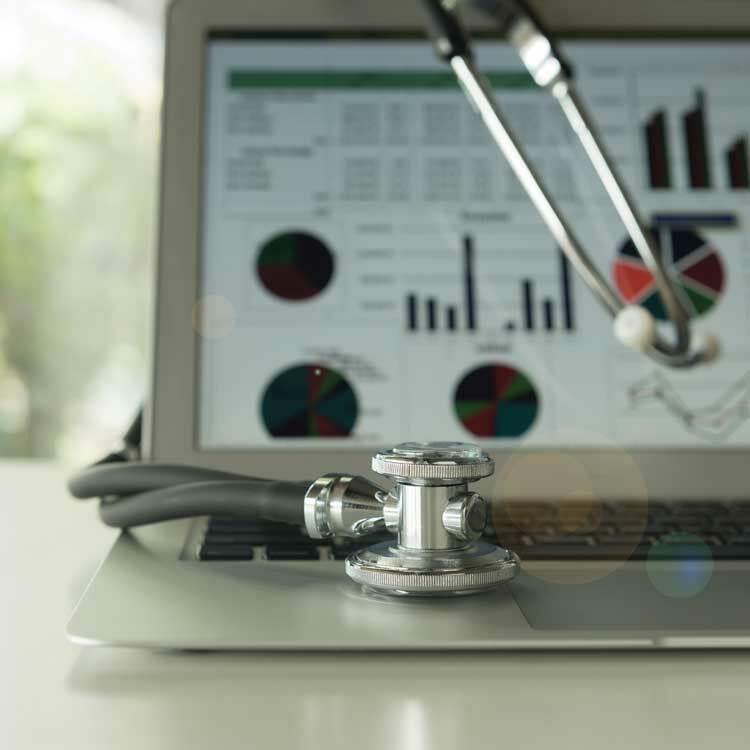 Sophisticated data analytics helps researchers integrate disparate data sources to identify new knowledge and understand its impact on care delivery. In addition, newly applied technology such as Hadoop and NoSQL allow for the analysis of unstructured data, which constitutes more than 80% of all recorded medical data. Understanding this data requires new methods of presenting results. As these analyses become more complex due to big data sets, scientists are employing data visualization tools to quickly review results and decide on further paths of inquiry. These tools convert statistical results into charts, graphs, and images that humans more readily understand. In contrast, a simple numerical table of data composed of columns and rows is more challenging for us to parse. This explains the growth in the use of visualizations across industries, from presenting baseball player statistics to forecasting the weather. When such visualizations are properly constructed, researchers can run “what if” scenarios to explore their results quickly and share them with others, who can then pursue their own investigations. These visualizations, when linked directly to data sources, become dynamic query tools for anyone who accesses them. The medical knowledge gained from this research drives the development of clinical algorithms that direct patient care. These algorithms combine the results of multiple paths of inquiry with patient-specific information to generate point-of-care guidance for the treating clinician. 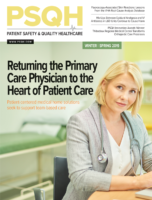 While the expansion in the use of EMRs offers much more patient data for use in care delivery, it greatly increases the time clinicians must devote to care documentation, which then gives them less face time with patients. If new bedside care algorithms are to change care patterns, they must minimally impact clinical workflow. Similar to their impact on how researchers see and understand data, data visualizations offer clinicians intuitive ways to understand a patient’s medical condition by merging structured EMR data (e.g., demographics, lab values, vital signs, medications) with data taken from other sources (e.g., wearables, location tracking). Building these visualizations to include clinical algorithms permits the presentation of the most valuable patient care information and allows for quick “what if” inquiries using the patient-specific visualization. When properly constructed, these patient visualizations offer an evidence-based snapshot of the patient and focus the clinician on the data points most critical to evaluating that patient. They also act as a surveillance tool to quickly identify and explore unexpected values or trends. Offering an easily understood and focused view of a patient supports the clinical workflow by helping to reduce the time clinicians devote to searching for patient information and working to understand it. Barry Chaiken, MD, MPH, is the clinical lead at Tableau Healthcare and has more than 25 years of experience in medical research, epidemiology, clinical information technology, and analytics. He is board-certified in general preventive medicine and public health and is a fellow, and former board member and chair of HIMSS. As founder of DocsNetwork Ltd., Chaiken worked on quality improvement studies, health IT clinical transformation projects, and clinical investigations for the National Institutes of Health, UK National Health Service, and Boston University Medical School. Chaiken may be contacted at bchaiken@tableau.com.